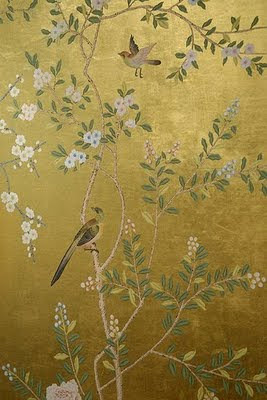 One of the things I wanted to share with you guys is my love to Chinoiserie. 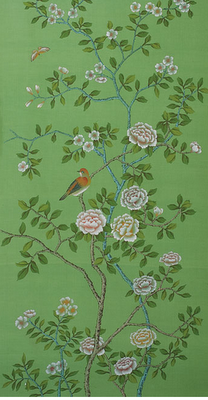 If you still haven't noticed, the background of my blog title is a chinoiserie panel. 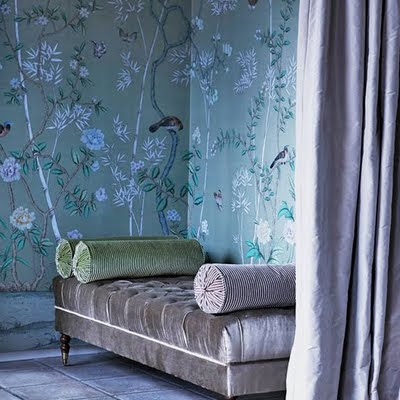 I'm no wallpaper kind of gal, but I do love romantic the pastels of wallpapers depicting handpainted flowers, birds, humans, etc prints. They make me go ga-ga! 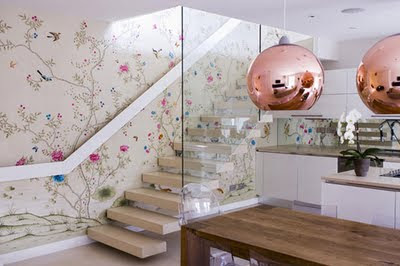 Check de Gournay and Gracie. 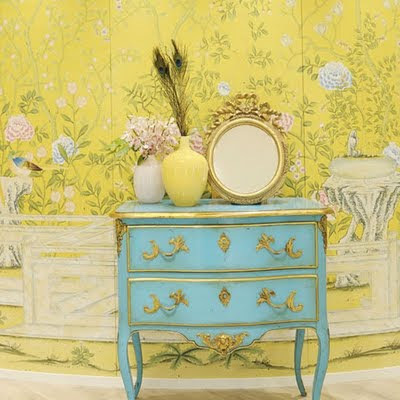 I love chinoiserie! 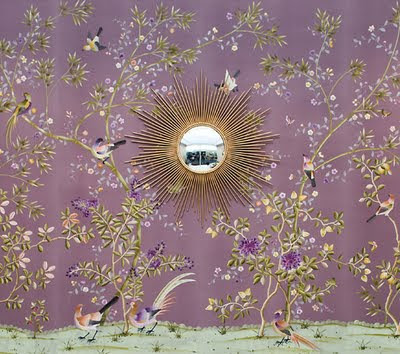 It reminds me of a scene in The City ;P when they talk about it,, and Lauren Conrad says.. "I dont know what that is.."
Pix u chose r faaaaaab, dont give up searching I'm sure tigderen etdabreena,, it would look darling! so gorgeous! !Babe you get it online!